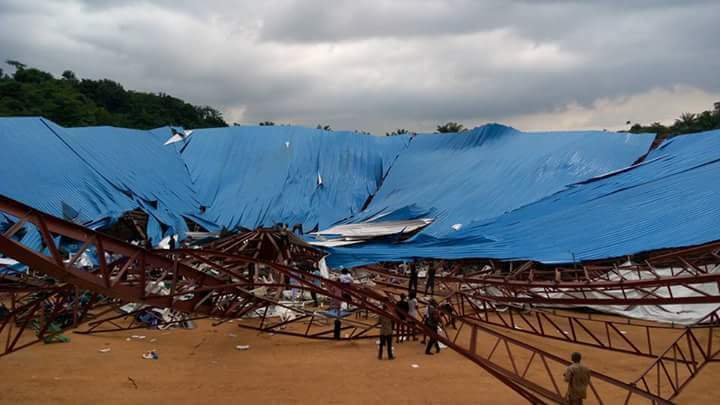 The collapse of the Reigners Bible Church in Uyo, Akwa Ibom State capital on Saturday has left over 200 people dead. This was disclosed by a professor and chief medical director of the University of Uyo Teaching Hospital, Etete Peters. “We only lost one person in the hospital except those that were brought dead. In circumstances like this, we have been overwhelmed. We need help from government,” Peters said. “Many victims are in private hospitals and mortuaries scattered all over Uyo metropolis; we can’t really tell how many people have died so far. We have over 200 persons in the mortuaries. We do not have space, as people are still being brought in. A survivor, Uduak Effiong said more than 300 people may have died from the incident. “I saw over 100 dead bodies. These were the ones close to me,” the victim said.